They’re here – the Gang of Harleys has arrived! 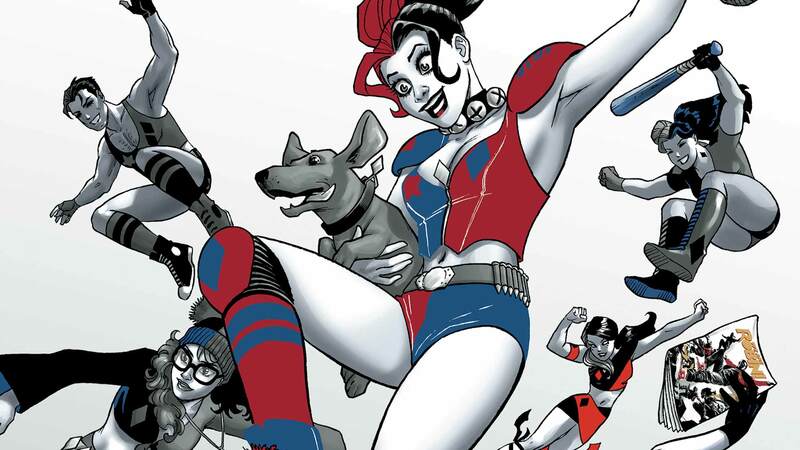 Because the world demanded more Harley Quinn, Harley has answered the call – will a dozen more Harleys do the trick? Meet Carli Quinn, Harley Queen, HanukQuinn, and many, many, MANY more in a story that will have your sides splitting!